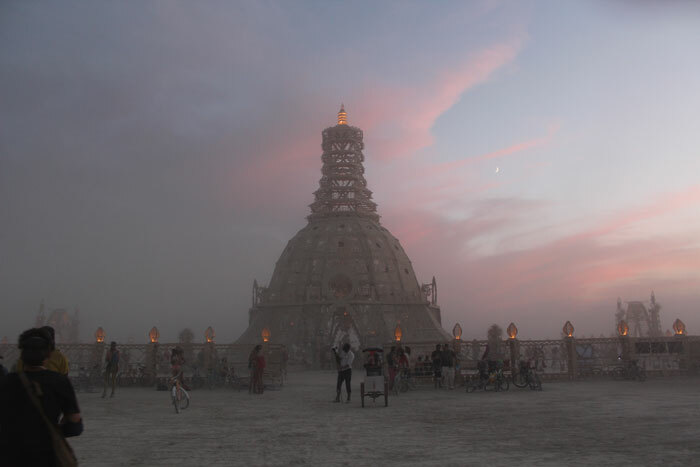 Every year more than 50,000 people descend on the Black Rock Desert in the State of Nevada to celebrate America’s “Burning Man Festival”. And each year boasts a new motto – in 2012 it was “Fertility 2.0”, in 2013 “Cargo Cult”, and this year it’s “Caravansary”. 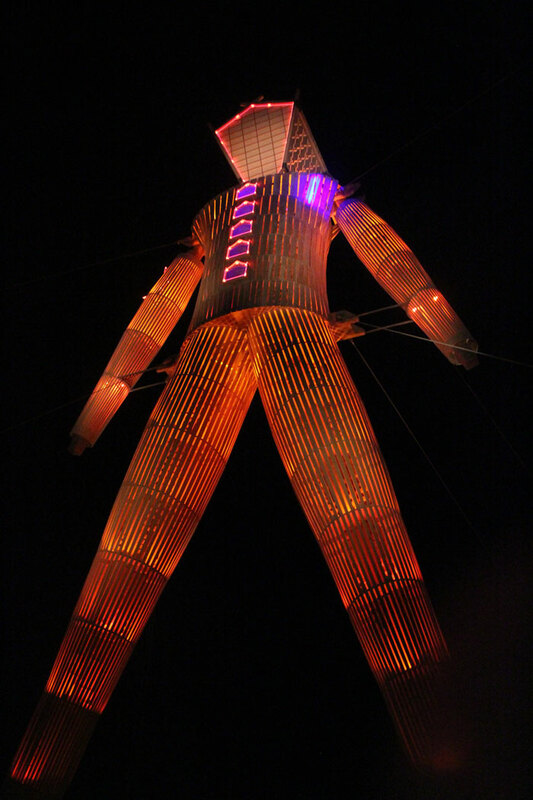 So the only remaining constant in the midst of all the hustle and bustle is the statue of the “Burning Man”, which rises up to a height of almost 12 meters at the heart of the festival. 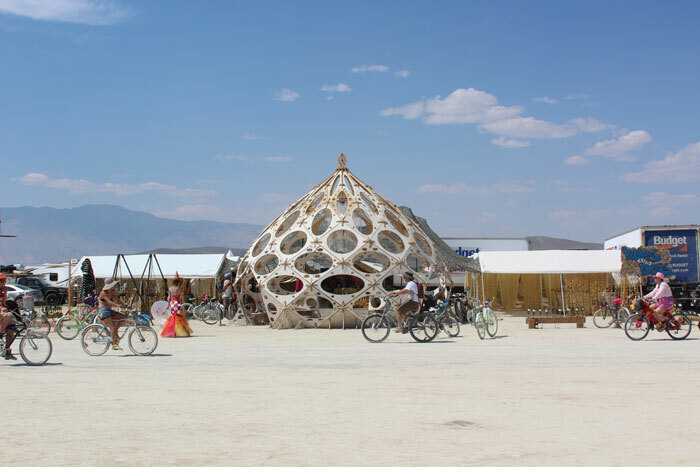 The lavish designs of the temporary pavilions paired with bizarre festival autos (ordinary vehicles are banned) and unconventional installations tend to cause a stir that echoes far beyond the desert. 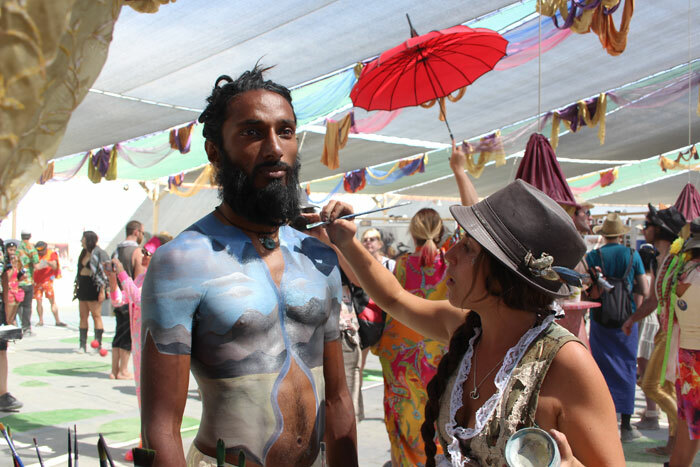 Participants at “Burning Man” are free to build whatever they want – this is part and parcel of the festival spirit. And inspiring a myriad of legends that are woven around the hedonistic goings-on during those eight days on the loose. 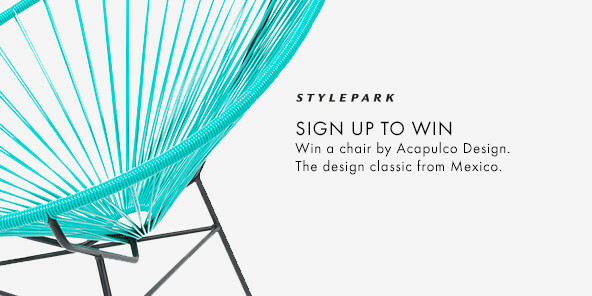 Designer Alexander Rehn attended the festival two years ago for the first time. Back then the group work “Der dritte Raum”, in which he participated, was being set up. Now Rehn has once again headed for the desert, and we asked him to note down some impressions for us. 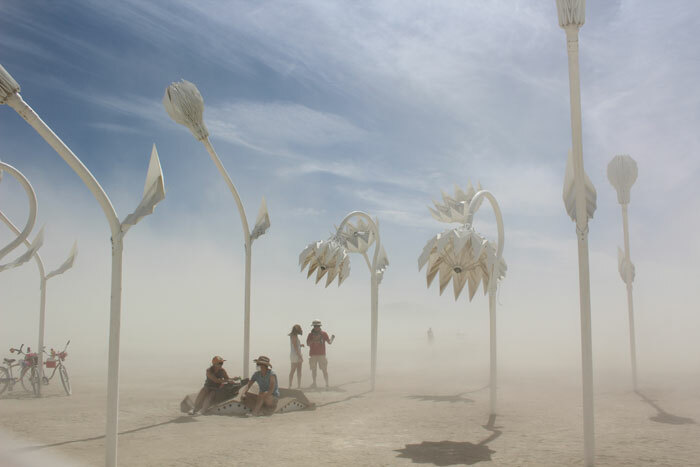 In addition to the countless artworks, workshops and parties, what fascinates me most about “Burning Man” are the installations that lend structure to the vast expanse, and of course the “art cars”. The latter include automobiles, busses and boats that have been restyled into fascinating conveyances. 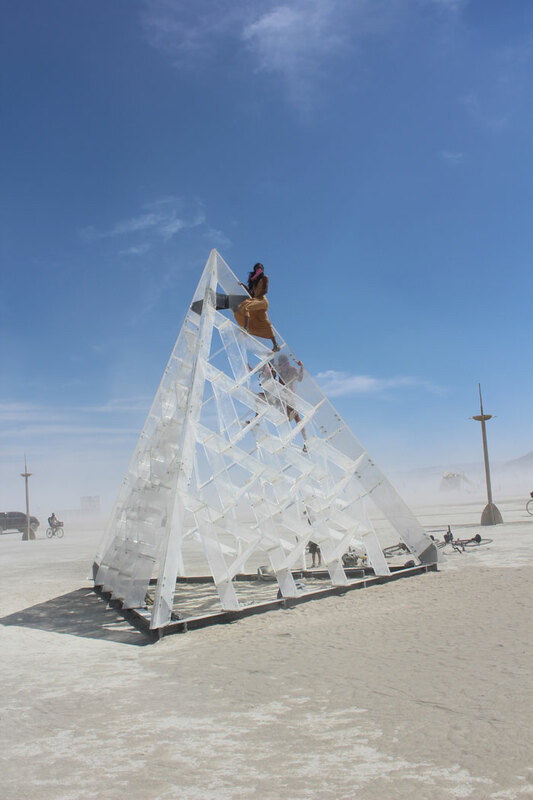 Not to forget the energy the participants invest, even just to make it to the festival venue, and to build all those temporary structures and edifices in an climate that is so decidedly hostile to life. During the day temperatures tend to hit 40 degrees Celsius and more, at nighttime they can drop right down to zero. 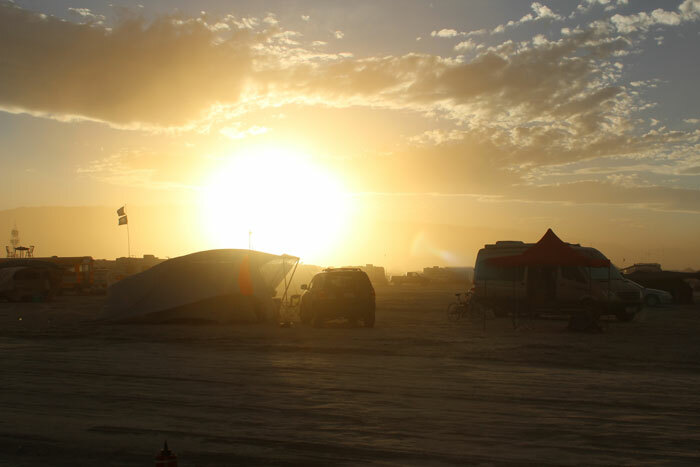 Conditions that call for extensive preparations and highly complex equipment to survive those eight days in the desert comfortably: tents, shade-giving structures, provisions – plus everyone has to supply their own water. People are recommended to drink six liters a day in this climate. At the end of the festival nothing must be left behind in the desert. And the fantastic thing is: everyone complies. I went along with two friends. We traveled in a small campervan, but we also overnighted in tents. The desert is a truly fascinating place and it’s simply amazing to open up your tent in the morning and experience the first rays of sun in such sublime surroundings. One of my highlights was once again the temple. 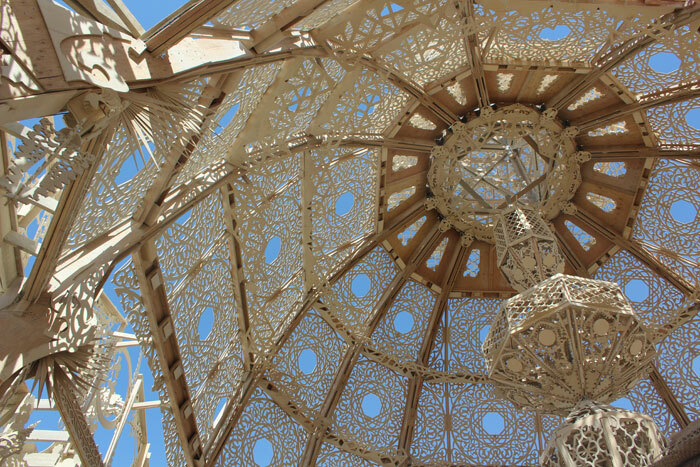 It consists of prefabricated, shaped timber elements, which were assembled three weeks prior to the start of the festival. People of all religions and sexual orientations gather under the dome of the temple to mourn the death of those they have lost and to pray for them. 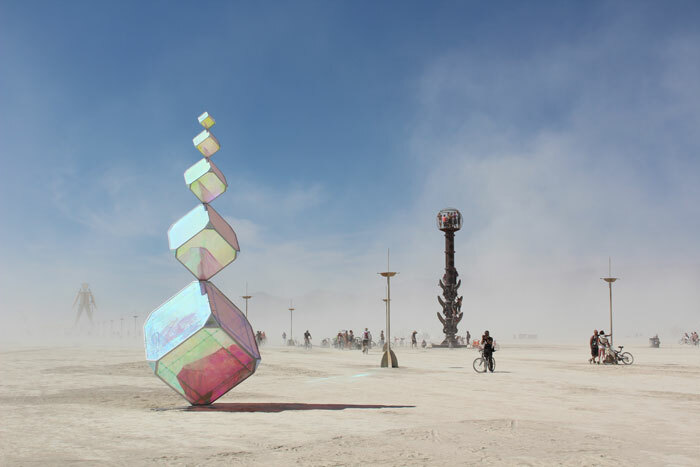 This mirroring sculpture changes its guise depending on the light and time of day. Another pavilion composed of individual parts. 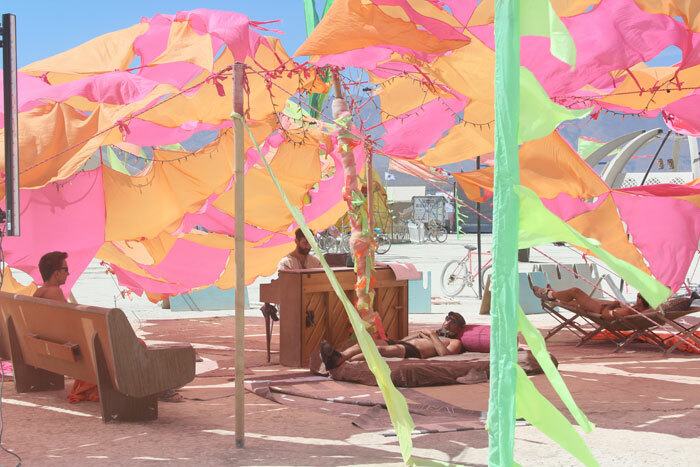 The “Centercamp” serves as a midday shelter, when the sun is at its hottest. But even if temperatures hit 40 degrees Celsius and over, there are lots of fun opportunities to pass the time. 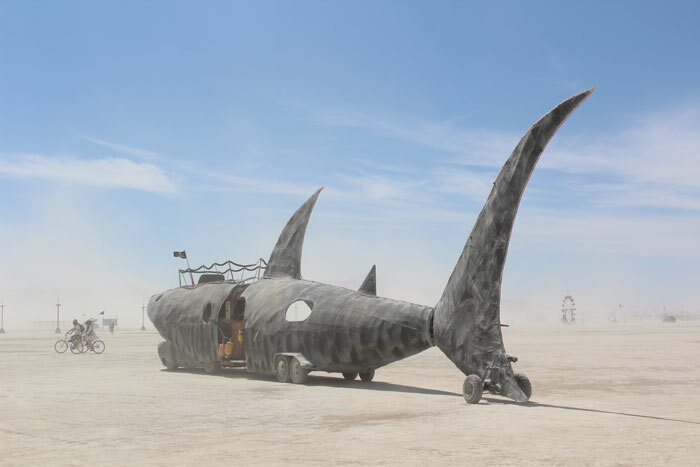 The shark is an essential ingredient to complete the selection of “art cars”. These include animals, coffee cups or flying carpets – to name but a few extraordinary shapes. The Perspex sculpture is perfect for climbing up. 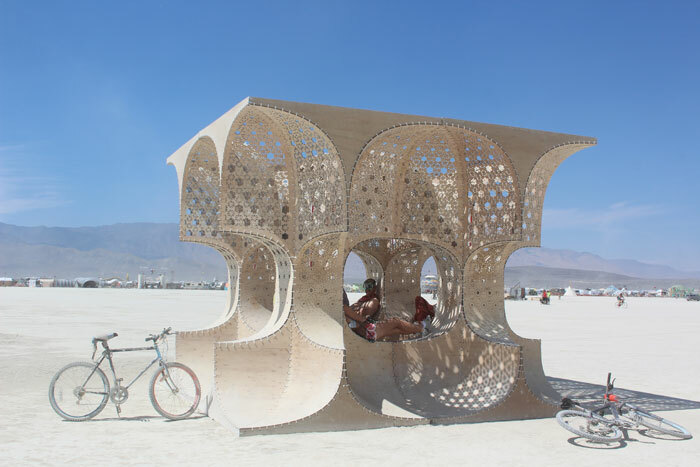 Another highlight for me: a pavilion made of two-dimensional timber elements. Sunsets galore – and absolutely breathtaking. 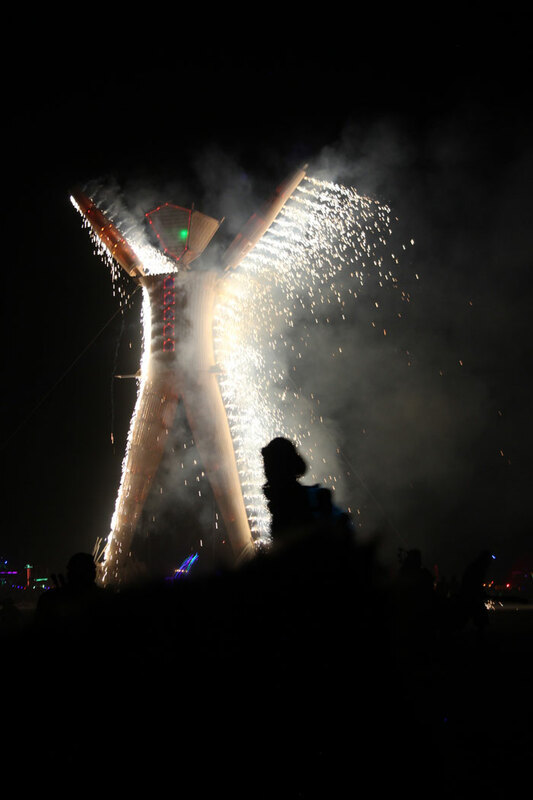 This year’s Burning Man is made of timber. By tradition it is burned on the last day of the festival. There are spectacular fireworks before it is ignited. 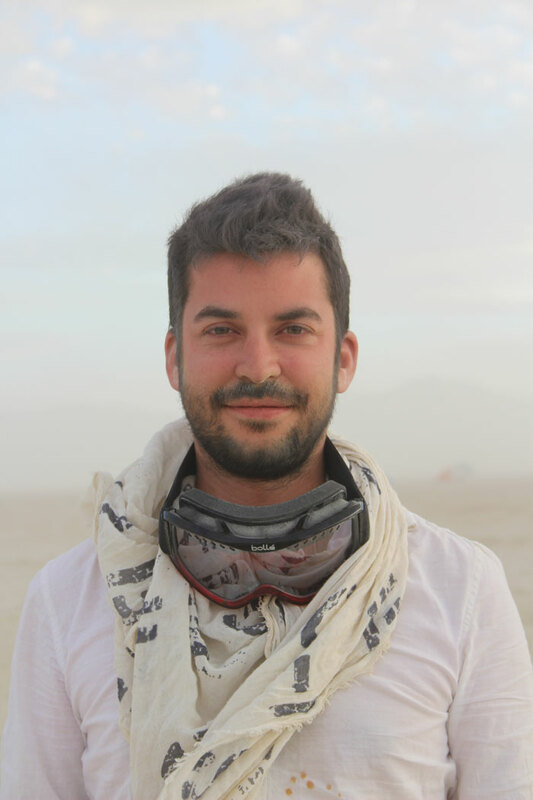 Alexander Rehn – our man in the desert.